£22.05 each & FREE Delivery in UK. 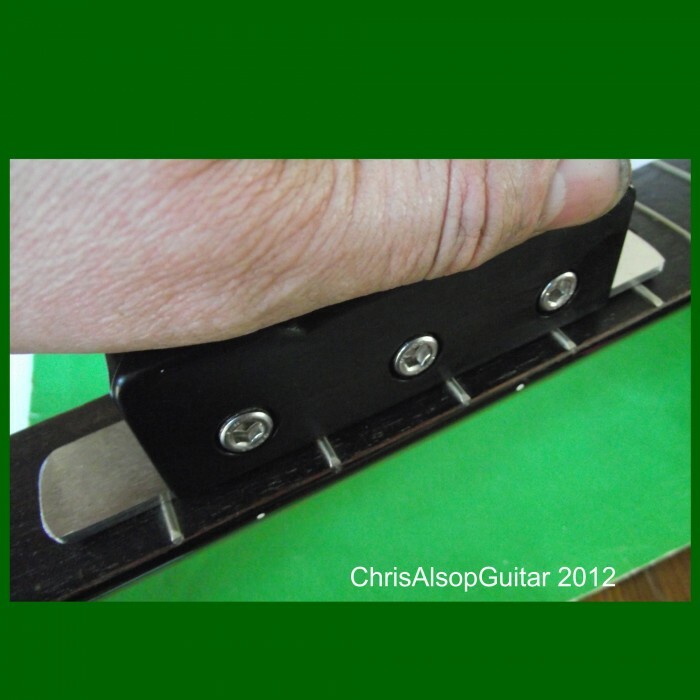 This is a diamond file mounted in a holder which allows it to be guided along the fretboard with the file cutting a level onto the tops, or crown, of the frets. 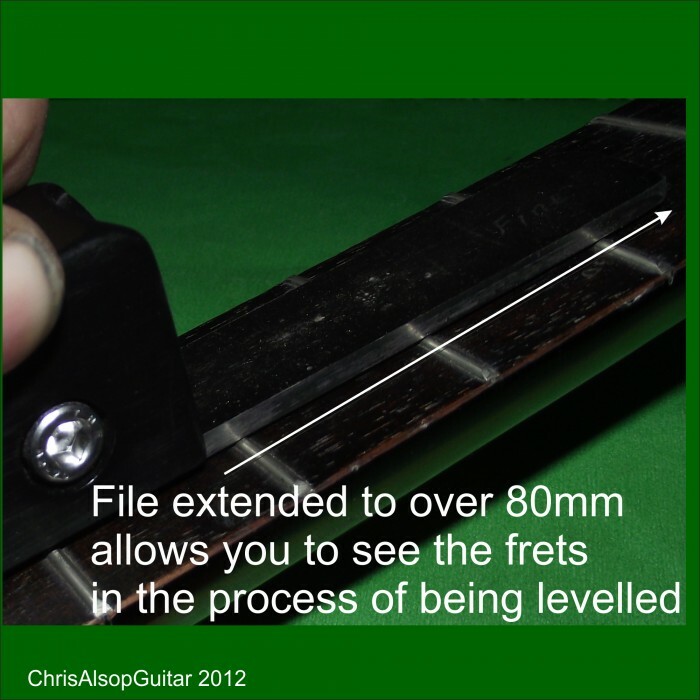 The device is made in our workshops by Chris Alsop and provides an efficient and easy to use solution to getting the frets level. • Very comfortable to hold file. 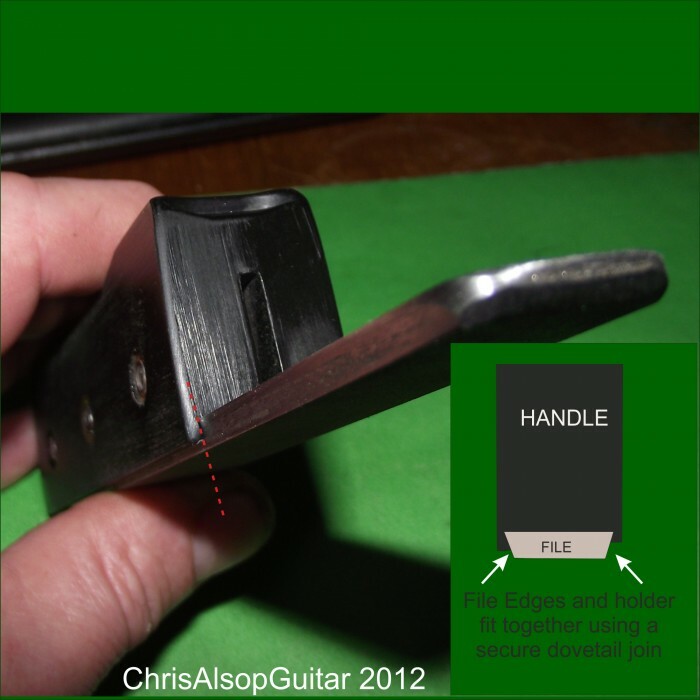 • The file protrudes from the holder so you can see how the cut is progressing by looking directly down at the cutting face where it meets the fret. • Changeable Files. Long or short files of different grits can be installed. • File and holder are joined by a strong dovetail joint and clamp bolts, recessed into the handle, allow the position of the file to changed or the file to be removed and replaced. • Robust construction from highest grade engineering ploymer and professional quality diamond file. The file can be moved along in the holder and clamped in any position. It can extend out from one side to just over half its length, this is great for actually being able to see which frets are getting abrasion as you gently move the file. 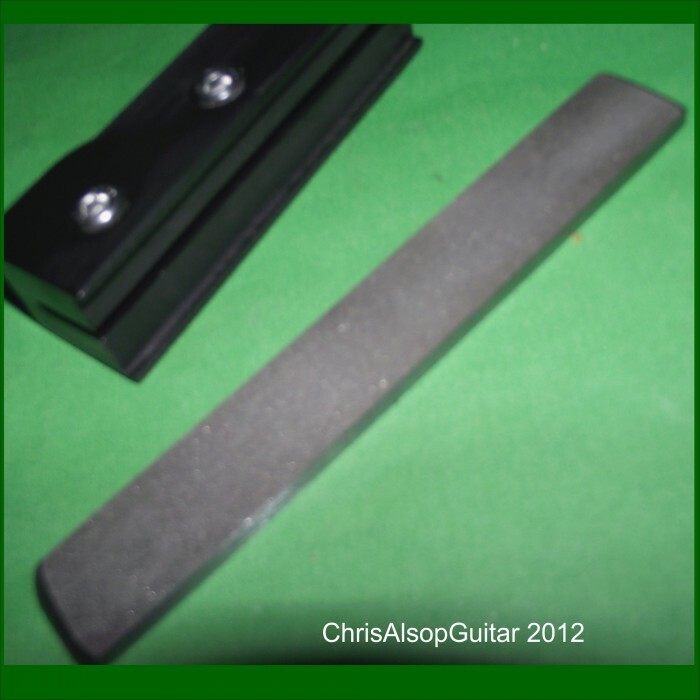 The default file is a fine grit file 150mm long, which is ideal for levelling frets over large sections of the fretboard and will last well. Other files available (see our separate advert) are coarse grit files - which remove the material faster, and shorter files - 75mm long half length files, which are ideal for levelling high spots. Exchanging the file is quick and simple so its OK to swap out files for different stages of the same job. This advert is for one spare file for the fret levelling file. It is just the diamond coated metal f..